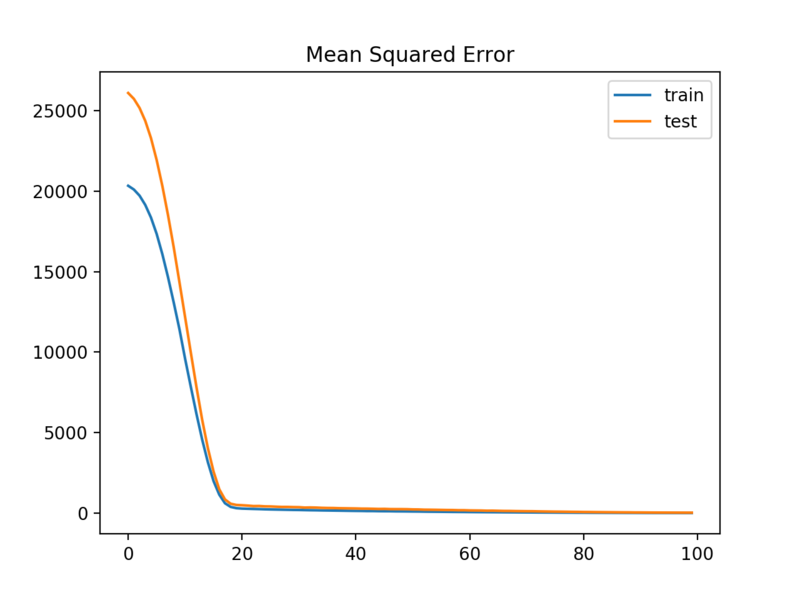 Training a neural network can become unstable given the choice of error function, learning rate, or even the scale of the target variable. The problem of exploding gradients is more common with recurrent neural networks, such as LSTMs given the accumulation of gradients unrolled over hundreds of input time steps. In this tutorial, you will discover the exploding gradient problem and how to improve neural network training stability using gradient clipping. Training neural networks can become unstable, leading to a numerical overflow or underflow referred to as exploding gradients. The training process can be made stable by changing the error gradients either by scaling the vector norm or clipping gradient values to a range. How to update an MLP model for a regression predictive modeling problem with exploding gradients to have a stable training process using gradient clipping methods. 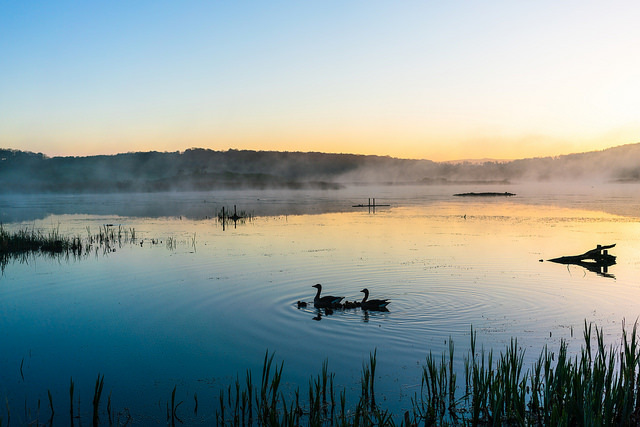 Photo by Ian Livesey, some rights reserved. This requires first the estimation of the loss on one or more training examples, then the calculation of the derivative of the loss, which is propagated backward through the network in order to update the weights. Weights are updated using a fraction of the back propagated error controlled by the learning rate. It is possible for the updates to the weights to be so large that the weights either overflow or underflow their numerical precision. In practice, the weights can take on the value of an “NaN” or “Inf” when they overflow or underflow and for practical purposes the network will be useless from that point forward, forever predicting NaN values as signals flow through the invalid weights. The difficulty that arises is that when the parameter gradient is very large, a gradient descent parameter update could throw the parameters very far, into a region where the objective function is larger, undoing much of the work that had been done to reach the current solution. — Page 413, Deep Learning, 2016. The underflow or overflow of weights is generally refers to as an instability of the network training process and is known by the name “exploding gradients” as the unstable training process causes the network to fail to train in such a way that the model is essentially useless. Poor choice of learning rate that results in large weight updates. Poor choice of data preparation, allowing large differences in the target variable. Poor choice of loss function, allowing the calculation of large error values. Exploding gradients is also a problem in recurrent neural networks such as the Long Short-Term Memory network given the accumulation of error gradients in the unrolled recurrent structure. Exploding gradients can be avoided in general by careful configuration of the network model, such as choice of small learning rate, scaled target variables, and a standard loss function. Nevertheless, exploding gradients may still be an issue with recurrent networks with a large number of input time steps. One difficulty when training LSTM with the full gradient is that the derivatives sometimes become excessively large, leading to numerical problems. To prevent this, [we] clipped the derivative of the loss with respect to the network inputs to the LSTM layers (before the sigmoid and tanh functions are applied) to lie within a predefined range. — Generating Sequences With Recurrent Neural Networks, 2013. A common solution to exploding gradients is to change the error derivative before propagating it backward through the network and using it to update the weights. By rescaling the error derivative, the updates to the weights will also be rescaled, dramatically decreasing the likelihood of an overflow or underflow. Gradient scaling involves normalizing the error gradient vector such that vector norm (magnitude) equals a defined value, such as 1.0. — On the difficulty of training Recurrent Neural Networks, 2013. Gradient clipping involves forcing the gradient values (element-wise) to a specific minimum or maximum value if the gradient exceeded an expected range. When the traditional gradient descent algorithm proposes to make a very large step, the gradient clipping heuristic intervenes to reduce the step size to be small enough that it is less likely to go outside the region where the gradient indicates the direction of approximately steepest descent. — Page 289, Deep Learning, 2016. 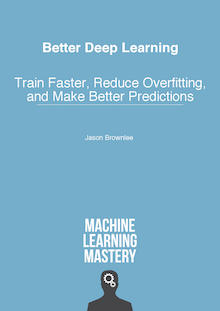 It is a method that only addresses the numerical stability of training deep neural network models and does not offer any general improvement in performance. The value for the gradient vector norm or preferred range can be configured by trial and error, by using common values used in the literature or by first observing common vector norms or ranges via experimentation and then choosing a sensible value. In our experiments we have noticed that for a given task and model size, training is not very sensitive to this [gradient norm] hyperparameter and the algorithm behaves well even for rather small thresholds. It is common to use the same gradient clipping configuration for all layers in the network. Nevertheless, there are examples where a larger range of error gradients are permitted in the output layer compared to hidden layers. The output derivatives […] were clipped in the range [−100, 100], and the LSTM derivatives were clipped in the range [−10, 10]. Clipping the output gradients proved vital for numerical stability; even so, the networks sometimes had numerical problems late on in training, after they had started overfitting on the training data. Gradient clipping can be used with an optimization algorithm, such as stochastic gradient descent, via including an additional argument when configuring the optimization algorithm. Two types of gradient clipping can be used: gradient norm scaling and gradient value clipping. Gradient norm scaling involves changing the derivatives of the loss function to have a given vector norm when the L2 vector norm (sum of the squared values) of the gradient vector exceeds a threshold value. For example, we could specify a norm of 1.0, meaning that if the vector norm for a gradient exceeds 1.0, then the values in the vector will be rescaled so that the norm of the vector equals 1.0. Gradient value clipping involves clipping the derivatives of the loss function to have a given value if a gradient value is less than a negative threshold or more than the positive threshold. For example, we could specify a norm of 0.5, meaning that if a gradient value was less than -0.5, it is set to -0.5 and if it is more than 0.5, then it will be set to 0.5. We can create plots of the target variable showing both the distribution and spread. The complete example is listed below. Running the example creates a figure with two plots showing a histogram and a box and whisker plot of the target variable. 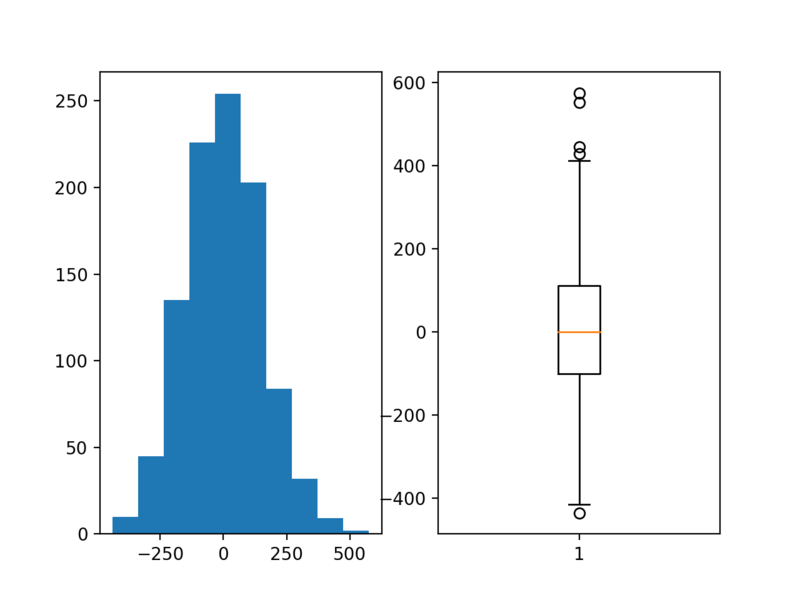 The histogram shows the Gaussian distribution of the target variable. The box and whisker plot shows that the range of samples varies between about -400 to 400 with a mean of about 0.0. A model will be demonstrated on the raw data, without any scaling of the input or output variables. This is a good example to demonstrate exploding gradients as a model trained to predict the unscaled target variable will result in error gradients with values in the hundreds or even thousands, depending on the batch size used during training. Such large gradient values are likely to lead to unstable learning or an overflow of the weight values. The first step is to split the data into train and test sets so that we can fit and evaluate a model. We will generate 1,000 examples from the domain and split the dataset in half, using 500 examples for train and test sets. Next, we can define an MLP model. The model will expect 20 inputs in the 20 input variables in the problem. A single hidden layer will be used with 25 nodes and a rectified linear activation function. The output layer has one node for the single target variable and a linear activation function to predict real values directly. In this case, the model is unable to learn the problem, resulting in predictions of NaN values. The model weights exploded during training given the very large errors and in turn error gradients calculated for weight updates. This demonstrates that some intervention is required with regard to the target variable for the model to learn this problem. A traditional solution would be to rescale the target variable using either standardization or normalization, and this approach is recommended for MLPs. Nevertheless, an alternative that we will investigate in this case will be the use of gradient clipping. We can update the training of the model in the previous section to add gradient norm scaling. This can be implemented by setting the “clipnorm” argument on the optimizer. Running the example fits the model and evaluates it on the train and test sets, printing the mean squared error. Your results may vary given the stochastic nature of the learning algorithm. You can try running the example a few times. In this case, we can see that scaling the gradient with a vector norm of 1.0 has resulted in a stable model capable of learning the problem and converging on a solution. 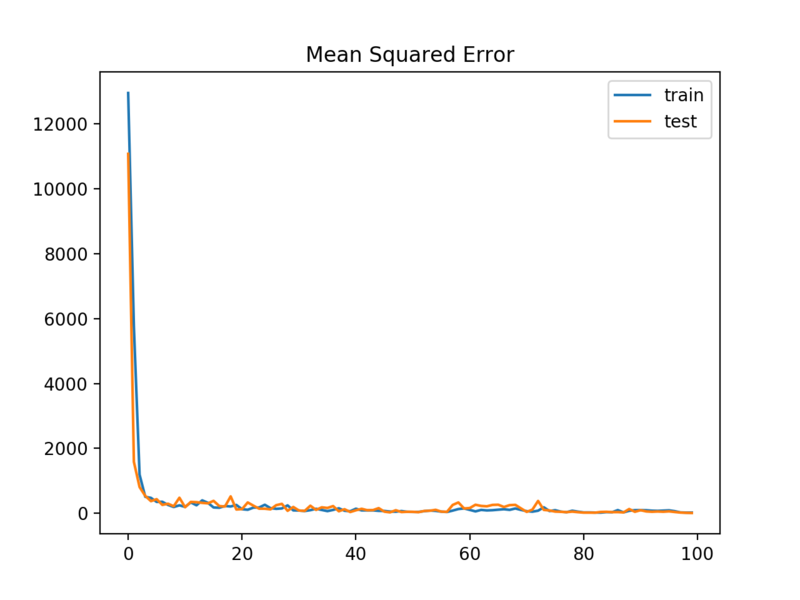 A line plot is also created showing the means squared error loss on the train and test datasets over training epochs. The plot shows how loss dropped from large values above 20,000 down to small values below 100 rapidly over 20 epochs. There is nothing special about the vector norm value of 1.0, and other values could be evaluated and the performance of the resulting model compared. Another solution to the exploding gradient problem is to clip the gradient if it becomes too large or too small. We can update the training of the MLP to use gradient clipping by adding the “clipvalue” argument to the optimization algorithm configuration. For example, the code below clips the gradient to the range [-5 to 5]. The complete example of training the MLP with gradient clipping is listed below. Running this example fits the model and evaluates it on the train and test sets, printing the mean squared error. We can see that in this case, the model is able to learn the problem without exploding gradients achieving an MSE of below 10 on both the train and test sets. The plot shows that the model learns the problem fast, achieving a sub-100 MSE loss within just a few training epochs. A clipped range of [-5, 5] was chosen arbitrarily; you can experiment with different sized ranges and compare performance of the speed of learning and final model performance. Vector Norm Values. Update the example to evaluate different gradient vector norm values and compare performance. Vector Clip Values. Update the example to evaluate different gradient value ranges and compare performance. Vector Norm and Clip. Update the example to use a combination of vector norm scaling and vector value clipping on the same training run and compare performance. In this tutorial, you discovered the exploding gradient problem and how to improve neural network training stability using gradient clipping. The training process can be made stable by changing the error gradients, either by scaling the vector norm or clipping gradient values to a range.